Web 2.0 is a term describing changing trends in the use of World Wide Web technology and web design that aims to enhance creativity, information sharing, and collaboration among users. 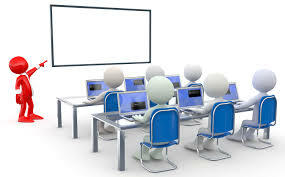 These concepts have led to the development and evolution of web-based communities and hosted services, such as social-networking sites, video sharing sites, wikis, blogs, and folksonomies. The term became notable after the first O'Reilly Media Web 2.0 conference in 2004. Although the term suggests a new version of the World Wide Web, it does not refer to an update to any technical specifications, but to changes in the ways software developers and end- users utilize the Web. Basically, the term encapsulates the idea of the proliferation of interconnectivity and social interactions on the Web. Tim O'Reilly regards Web 2.0 as business embracing the web as a platform and using its strengths. The features that encompasses the essence of Web 2.0 are building applications and services around the unique features of the Internet, as opposed to building applications and expecting the Internet to suit as a platform. Web 2.0 websites allow users to do more than just retrieve information. They can build on the interactive facilities of "Web 1.0" to provide "Network as platform" computing, allowing users to run software applications entirely through a browser. 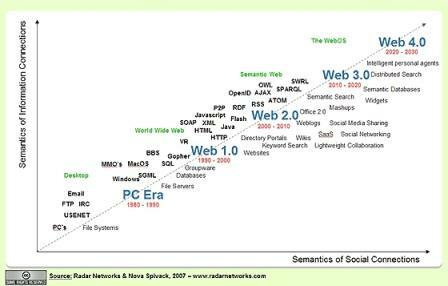 While Web 2.0 technologies are difficult to define precisely, the outline of emerging applications has become clear over the past year. We can thus essentially view Web 2.0 as semantic Web technologies integrated into, or powering, large-scale Web applications. The base of Web 2.0 applications resides in the resource description framework (RDF) for providing a means to link data from multiple Web sites or databases. With the SPARQL query language, a SQL-like standard for querying RDF data, applications can use native graph-based RDF stores and extract RDF data from traditional databases. Web democratization refers to the way people access and contribute to the Internet. Many early Web pages were static, with no way for users to add to or interact with the information. In some ways, many companies thought of the Internet as an extension of television -- browsers would look passively at whatever content the Web provided. Other companies had different ideas, though. For example, Amazon allowed visitors to create accounts and submit book reviews. Anyone could play the role of a literary critic. Before long, other customers were using these reviews to help them decide what books to buy. Amazon's members were helping to shape the browsing experience. The Web 2.0 philosophy emphasizes the importance of people's interactions with the Internet. Everyone has an opportunity to contribute to the Web. And, by paying attention to what users are looking for and doing online, a company can provide better service and build customer loyalty. Some Web pages absolutely depend upon user contributions -- without them, there'd be no Web site. Wikis are a good example of this. Users can enter information, modify existing data or even delete entire sections in wikis. If Web 2.0 is a collection of the most effective ways to create and use Web pages, is there any reason to make a page that follows the Web 1.0 model? It may sound surprising, but the answer is actually yes. There are times when a Web 1.0 approach is appropriate. Part of the Web 2.0 philosophy is creating a Web page that visitors can impact or change. For example, the Amazon Web site allows visitors to post product reviews. Future visitors will have a chance to read these reviews, which might influence their decision to buy the product. The ability to contribute information is helpful. But in some cases, the webmaster wouldn't want users to be able to impact the Web page. A restaurant might have a Web page that shows the current menu. While the menu might evolve over time, the webmaster wouldn't want visitors to be able to make changes. The menu's purpose is to let people know what the restaurant serves; it's not the right place for commentary or reviews. An example of a good Web 1.0 approach is information resources. Wikipedia is an online encyclopedia resource that allows visitors to make changes to most articles. Ideally, with enough people contributing to Wikipedia entries, the most accurate and relevant information about every subject will eventually be part of each article. Unfortunately, because anyone can change entries, it's possible for someone to post false or misleading information. People can purposefully or unwittingly damage an article's credibility by adding inaccurate facts. While moderators do patrol the pages for these acts of vandalism, there's no guarantee that the information on an entry will be accurate on any given day. The boundary between what counts as Web 1.0 and Web 2.0 isn't always clear. Some Web sites are very static but include a section for visitor comments. The site as a whole might follow the Web 1.0 approach, but the comments section is a Web 2.0 technique. Even Web experts disagree on how to classify Web pages, and some think that it's a mistake to even try labeling them at all. There's no denying that some Web strategies are more effective than others. In the end, whether or not there's such a thing as Web 1.0 is a moot point. The important thing is to learn how to use the Web to its full potential.